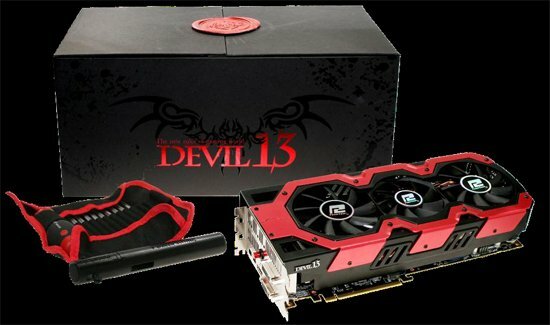 PowerColor dual-GPU Radeon HD 7990 coming very soon? HardwareCanucks heard rumors that PowerColor is about to introduce a dual-Radeon HD 7970 graphics card. Pricing is anticipated to be between $899 and $999. Hardware Canucks’ web of industry contacts has been abuzz today with information that PowerColor could be launching a supposed dual HD 7970 card named the HD 7990 as early as tomorrow, at a price of $999. While there may still be some confusion among industry sources, after a certain amount of poking and prodding, certain bits of information began to coalesce. First and foremost, PowerColor’s HD 7990 will be a ground up custom design which means there won’t be a reference version available to purchase nor will availability be widespread. We’re actually hearing about the possibility of less than 500 cards worldwide, some sources put the number at a mere 200. This lack of concerted availability is right in line with other custom dual GPU cards like the ASUS Ares and Sapphire HD 4850 X2, as is the astronomical price. At this point, Hardware Canucks can’t be certain about the PowerColor HD 7990’s specifications but logic dictates that it will have 6GB of GDDR5 memory (3GB per GPU) and two full Tahiti XT cores with 2084 Stream Processors each. Naturally, a large-scale custom heatsink will ensure this card runs relatively cool.